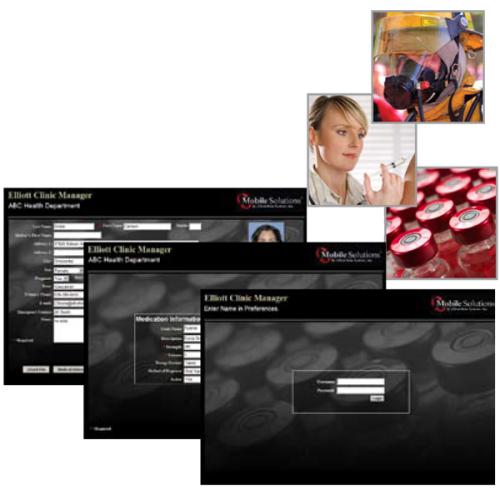 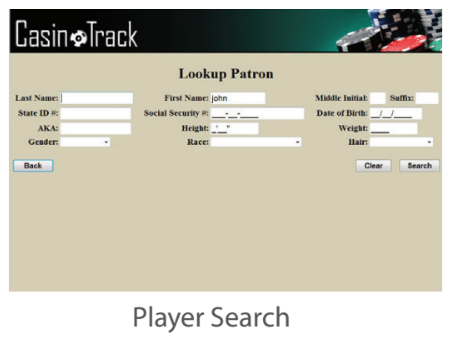 The Casino Track software is an effective solution used by gambling facilities to identify and track players who are listed on voluntary internal or state barred self-exclusion lists. 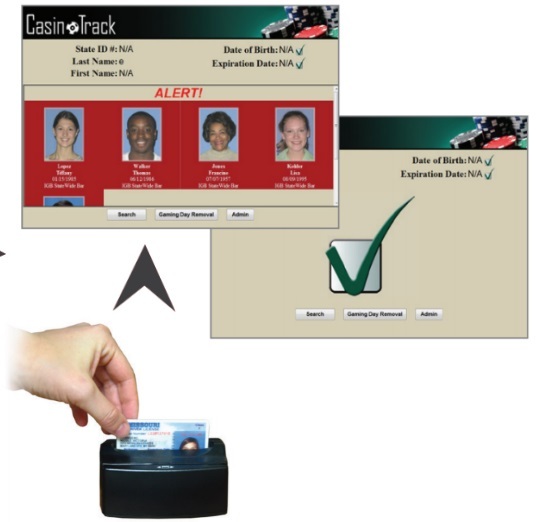 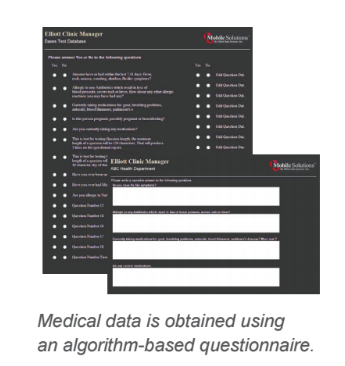 This solution greatly reduces the risk of a player entering the casino or cashing out by verifying their identity as soon as they enter the facility. 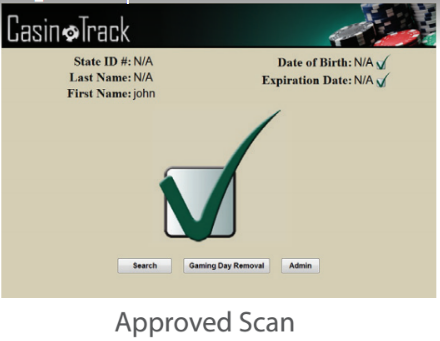 Gambling organizations are able to increase security and reduce the possibility of paying expensive fines associated with having barred players on their property by using the Casino Track solution. 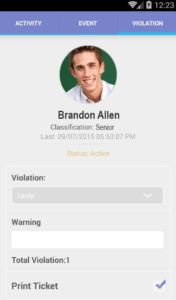 Save money by avoiding fines. 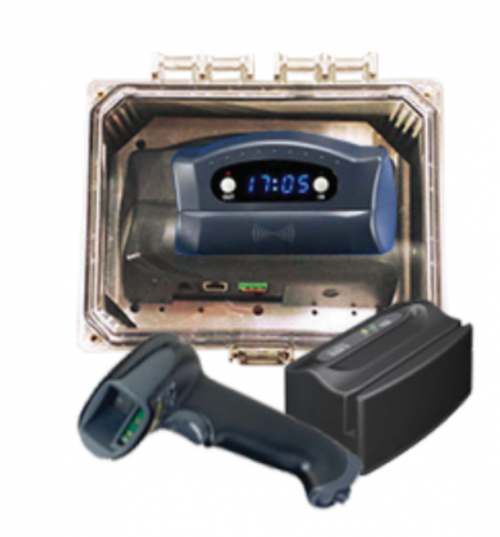 Increase security at the entrance. 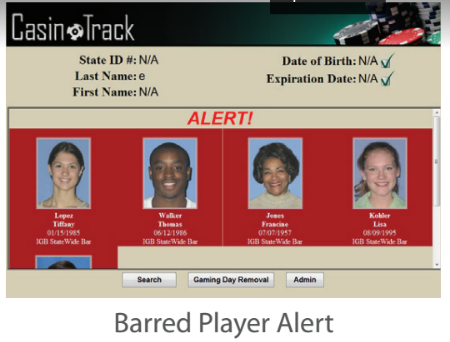 Reduce risk of having a barred player on the premises. 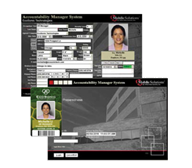 Quickly verify identity, age and status. 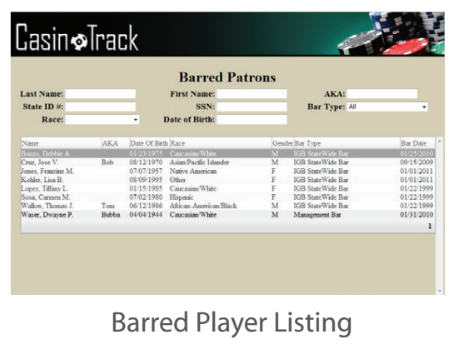 View complete list of barred players. 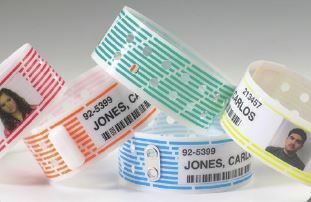 Check information against multiple exclusion lists.